In the fall of 1975, Mooresville Christian Academy opened its doors to twenty-seven students who were taught by four full-time teachers. Mooresville Christian Academy was founded on the belief that all families are welcome without regard to denominational affiliation. 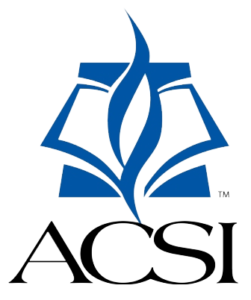 Mooresville Christian Academy has partnered with several local churches. Our partnership with Grace Church of Mooresville helped to make our start possible as they graciously allowed us to lease their facilities until February of 1994. The 1994-1995 school year opened with a forty-five percent increase in enrollment. This growth in our student body made it necessary to begin the search for a larger facility. Once again our partnership with a local church made our dreams a reality. Springhill Christian Center allowed us to rent their facilities. This allowed us to add a physical education teacher, expand our Kindergarten program to include a class for 4 year olds and add an art class for 5th grade through Junior High. We were also able to support our faculty by adding one full-time and four part-time aides. During this time, dreams for our Junior High began to take shape. MCA again partnered with Grace Church of Mooresville to rent space for our Junior High. Computer and drama classes were added to the curriculum. We were also able to begin a boys basketball team was for 7th & 8th grade. Students in grades 5th through 8th enjoyed intramural volleyball and basketball. The 1996-1997 school year began with 255 students and again more classes were added to meet the demands of a growing student body. It was during this school year that the Board of Directors decided to purchase the 30 acres of land that the school sits on today. In 1998 we began construction on the facilities that we are currently using today. Construction was complete in 2000 and the new facility included a multi-purpose room, an upper elementary wing, a Junior High wing, a Media Center and Administrative offices. In fall of 2000, MCA dedicated the new school building and all classes resided on one campus. The 2004-2005 school year brought many exciting changes. Two computer labs were added allowing Elementary students to receive computer instruction through project learning. This addition also allowed our Junior High students to receive instruction in webpage design, video production, and to master a variety of computer programs. Junior High students produced their first dinner theater and online electronic grade book access was made available for parents. In addition to these academic and program enhancements our Athletic Program experienced growth during this period as well. A soccer field and walking track were installed behind the school and we added soccer and kickball. The Lord’s grace has allowed Mooresville Christian Academy to continue to grow. The work and prayers of our faculty, staff, parents and volunteers has made it possible for MCA to have strong programs that meet the needs of our students at each stage of growth. Our Eagle’s Nest Preschool, Elementary and Jr. High Programs are all continually evaluated so that we are able to offer the best Christian education possible. We have truly grown to be a community that works to put relationships first. We value an atmosphere of love and respect because we believe it is in this environment that children flourish. In the last decade, Mooresville Christian Academy’s impact has continued in Morgan County. 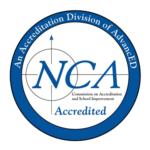 During this time, MCA earned it’s accreditation through three issuing agencies: The State of Indiana, Association of Christian Schools International, and AdvancEd. We have expanded our preschool program to include three year olds. We also now offer both half and full-day kindergarten programs. We have watched our alumni go on to finish high school with honors, and be accepted into the colleges of their choice. We invite your family to consider becoming a part of ours.